The area anticipates a busy summer in 2016, as log rolling competitions, lumber sports and a dragon boat festival are expected to bring spectators and excitement to the Windy City. The Cubs are hot and the White Sox are rolling, too. The Bears are getting ready for training camp while the Bulls draft their newest stars, and the Blackhawks are coming off yet another playoff appearance. Chicago sports couldn’t get much better, right? Think again. This summer will be different in the Windy City, as the Chicago Southland Convention and Visitors Bureau plans to interrupt baseball season when it hosts three major events in June, July and August. The Summer of Lumber, as it’s being touted, will feature the 2016 US Log Rolling Open, 2016 STIHL® TIMERSPORTS® US Professional and Collegiate Championship lumberjack competitions and Chicago Southland Dragon Boat Festival. The CVB expects the festivities to attract spectators from around the nation looking to witness unique competitions that most of them have never seen before. The events are new and exciting, and they’re making their first official visits to America’s third-largest city. Chicago is already a great sports town—the Summer of Lumber has the chance to make it an even better one. The first of the three competitions is the 2016 US Log Rolling Open, scheduled to take place June 11 in Orland Park. This free event will be the first log rolling competition held in the state of Illinois. It will also mark the beginning of the sport’s 2016 season, and there is no better place to do so than at beautiful Lake Sedgewick at Centennial Park. The 75-acre lake boasts a boat ramp, gazebo, boardwalk, outdoor amphitheater, nature trails and hiking paths. Joel Koester, sports sales executive at Chicago Southland CVB, is excited about the venue’s ability to attract spectators. Koester anticipates a couple thousand onlookers throughout the day. Tickets are free and the event spans roughly five hours, so visitors are welcome to drop by periodically to witness 20 professional log rolling athletes. The competition will be broadcast on Comcast Sportsnet. Also excited about the prospects of hosting the 2016 US Log Rolling Open in the Chicago Southland is Jim Garrett, President/CEO of Chicago Southland CVB. 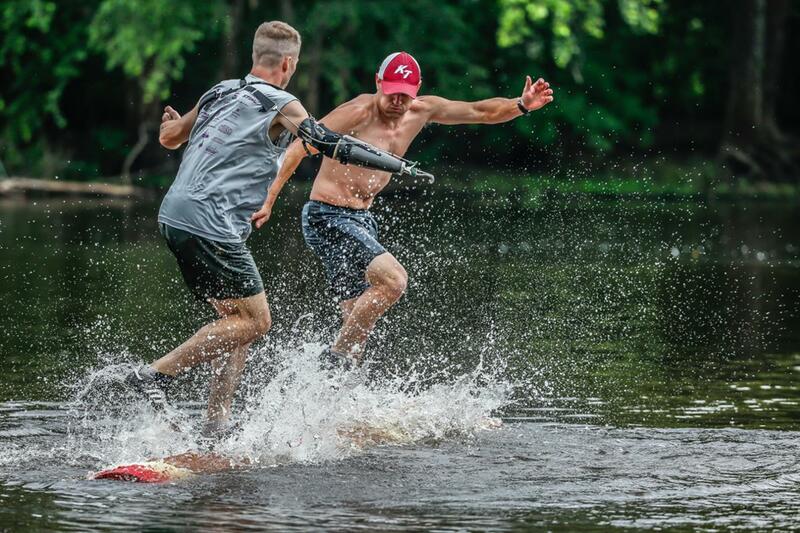 Log rolling isn’t the only major event geared towards making the Summer of Lumber a triumph. 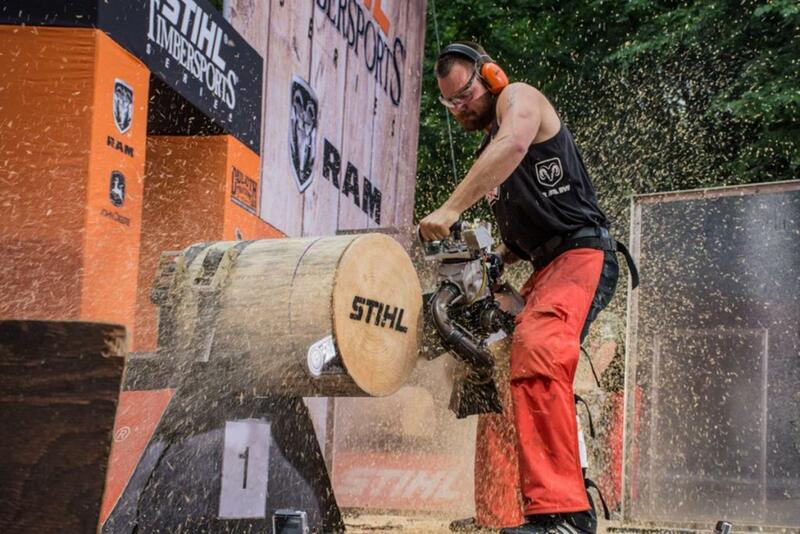 The 2016 STIHL® TIMERSPORTS® Professional and Collegiate Championships will take place July 15-16 in Tinley Park, and though there were doubts about how suitable lumberjack competitions are for the Chicagoland area, those worries have been relieved. The Championship will consist of six core chopping and sawing events: hotsaw, single buck, springboard chop, standing block chop, stocksaw and underhand chop. Everything done in the competition is intended to simulate real-life forestry, and none of the events fail to entertain. Indeed, STIHL® and Chicago Southland plan to put on a great show. Two breweries will be on site, and an abundance of concessions will be available. The event will also be broadcast at a later date by ESPN and ABC, where 10 million viewers tuned in last year. And for those who want to watch the competition as it happens, it will be livestreamed on the STIHL® TIMERSPORTS® webpage. Chicago Southland has pegged Tinley Park Convention Center to hold the STIHL® TIMERSPORTS® US Professional and Collegiate Championship. The complex nets 70,000 square feet of exhibit space, but its greatest advantage might be its location. The convention center is situated right off of Interstate 80 and offers quick access to Midway and O’Hare international airports, not to mention free parking outside the venue. It is also surrounded by nine million people in the Chicagoland metropolitan area. STIHL® TIMERSPORTS® visit to the Windy City will be the highlight of July, but in August the community’s attention will shift to the city of Blue Island, where the Chicago Southland Dragon Boat Festival will entertain spectators with a distinctive display of creativity and competition. The races consist of roughly 20 teams, each made up of 20 people. Team members consist of a drummer, who provides a rhythm for the paddlers, and the steersman, who guides the boat using the rudder. 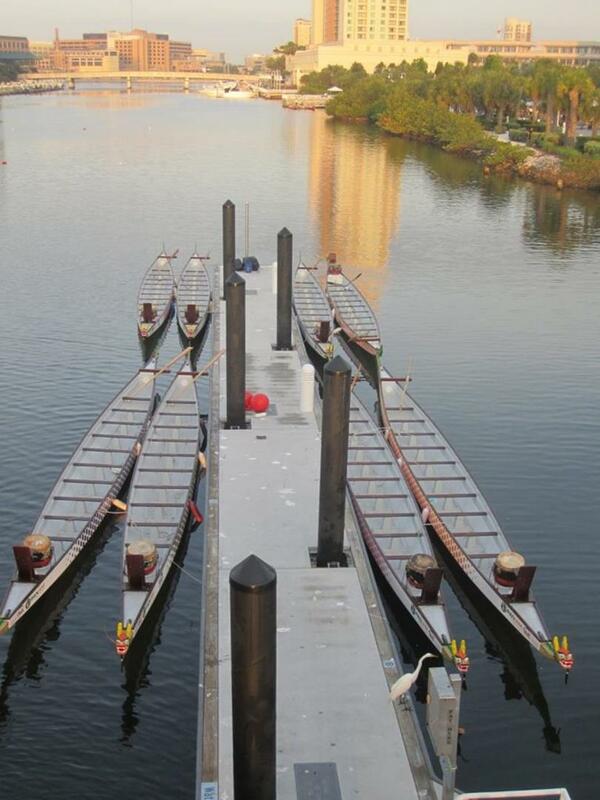 Teamwork is essential in dragon boat racing, just as it is in planning such a noteworthy event. The Chicago Southland Convention and Visitors Bureau and the city of Blue Island have had no trouble working together to assist the organizing of the 2016 Dragon Boat Festival on August 13. Part of this good relationship stems from the two entities having similar goals. Boasting clean water and situated only 15 miles from Chicago’s Loop, Blue Island is ready for big crowds come August. Chicago Southland also plans to partner with the Blue Island Arts Alliance in an effort to give back to the hosting community. The BIAA will operate a concession stand with food and refreshments at the event, with all proceeds going to the arts group. Both the 2016 Log Rolling Open and the Chicago Southland dragon boat festivities center around a common theme: Demonstrating the positives of spending time on the waterfront. After all, Orland Park is only 10 miles away from Blue Island, giving the two events a geographical connection. Blue Island mayor Domingo Vargas echoed the point that bringing people back to the waterfront is a primary goal of the summer events. “The Chicago Southland Dragon Boat Festival is a great event to showcase the intrinsic beauty Blue Island offers,” Vargas said. Just as Mayor Vargas envisions the Dragon Boat Festival growing in size and grandeur over the next three years, Chicago Southland executives see the same potential for log rolling and STIHL® TIMERSPORTS®. They also hope to see a meaningful economic and cultural impact on the area. As summer rolls along, there won’t be a shortage of baseball and softball, beach volleyball and tennis. Nearly every weekend, facilities across the country will host tournaments in these sports, just as they have every year for as long as most people can remember. But for those who want something unique, something different, Chicago Southland has you covered. The trifecta of big events—log rolling, STIHL® TIMERSPORTS® and dragon boat racing—has the potential to make the Windy City the place to be in 2016. Chicago Southland is ready to make the Summer of Lumber one to remember.